Give grandma the gift of an everlasting flower with her sweet grandchild at its center by making this craft. 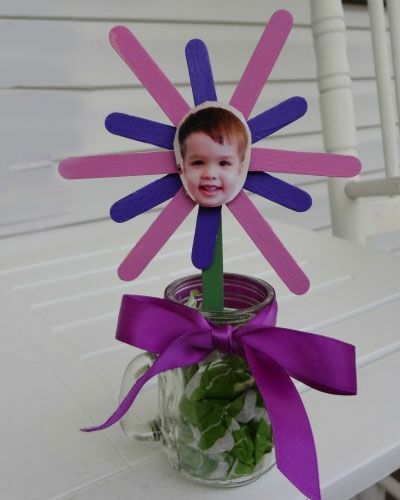 Popsicle sticks of varying colors and sizes make up the petals, while a photograph of the baby’s face can sit in the middle. Place it inside of a jar and tie a bow around it for the perfect gift.